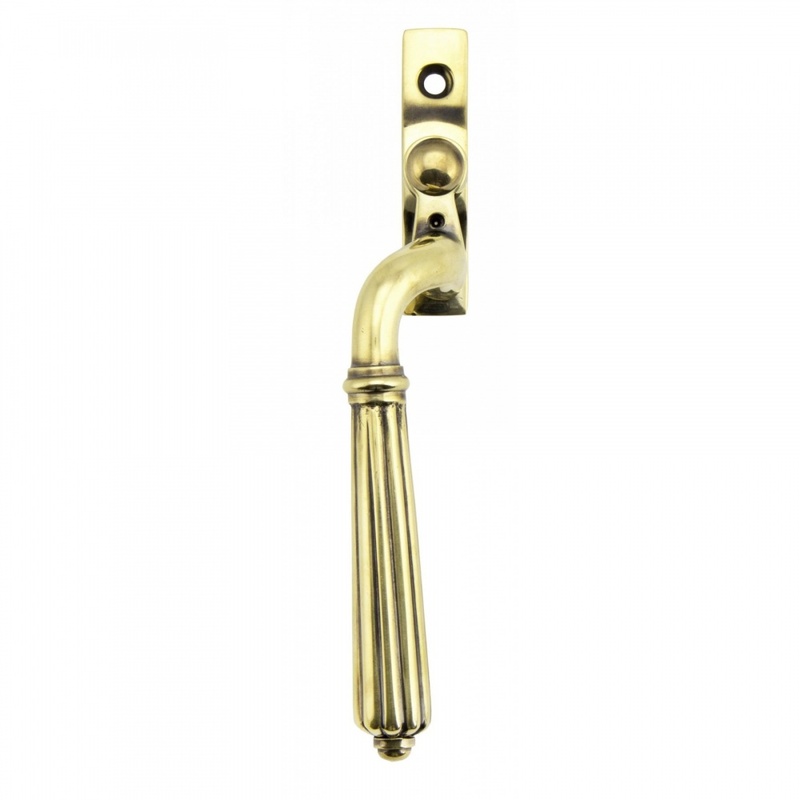 The hinton handle is part of the period range of window furniture. A decorative Georgian design that will suit any setting. 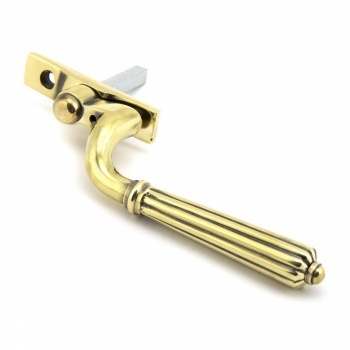 Our weighty hinton window handle range is forged from solid brass which emphasises the high quality materials and manufacturing techniques used. A perfect design choice to use throughout your property with many other matching products available. The unlacquered brass achieves a timeless elegance, highly polished on all surface areas but aged to highlight the detail and design. This will tarnish in time as part of the ageing process but can be polished time and time again if a natural sheen is desired. Designed to fit any type of window, including uPVC and timber due to its slim fixing plate. Can be matched with the hinton stays and door handles in the range. 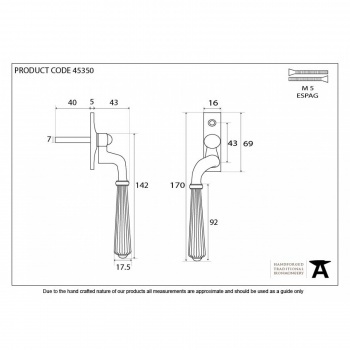 The product is handed and therefore care needs to be taken when choosing the correct hand. From the inside view, if your window is hinged on the left then a left-hand fastener is required. They have a 7mm² x 40mm spindle and can be locked by way of a grub screw. 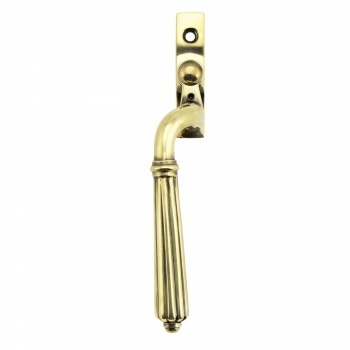 Can be used with an espagnolette gearbox & window lock. Supplied with matching SS M5 screws.